Until this year, I've never taken the time to explore the trails behind the North Carolina Museum of Art. I found this beautiful tree next to a pond. 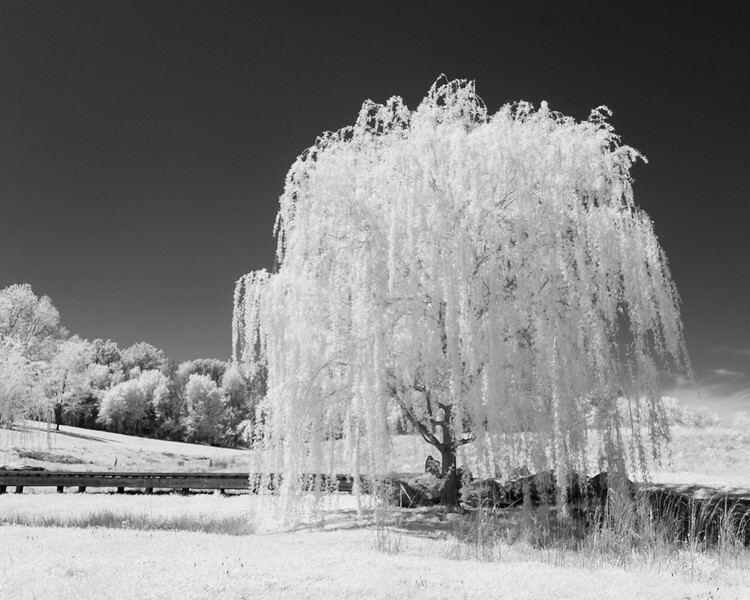 The tree is green, but in infrared light, looks like it is glowing with light. Leaves and plants tend to reflect a lot of infrared light, giving them the appearance of being made of snow or ice.